The Regency single gives you everything you want from a park home at an affordable price. With its exceptional Omar build quality and interior design, the Regency single is in a class of its own. The home features a box bay window with Georgian bar glazing, corner quoins, a feature dormer and a fully fitted kitchen. The Regency comes with lounge and dining room furniture, bathroom and bedroom furniture and even colour co-ordinated curtains are included. This home is great value for money without compromising on quality and style. 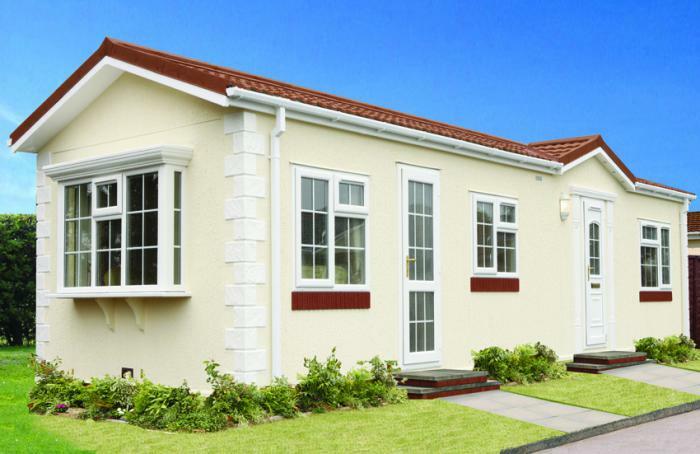 Wyldecrest Parks can supply and New residential park home for sale from any Manufacturer on any of our Residential Parks across the UK, just like this Omar Regency Single Park Home for sale. Please contact us for more information about this park home or any other.